"What a strange case on this one. I've just gotten Guitar Center in Austin, TX to get a G5123B for me from their store in Minneapolis, MN. This was the closest available, and evidently it's one of a very few still ANYWHERE for sale new in the box... IN THE WORLD. I had NO IDEA what I was getting into trying to get info on this bass. Even GC employees, as many have pointed out, are clueless when it comes to this instrument. I called up Gretsch (FMIC-Fender) to ask just how rare my new bass was. 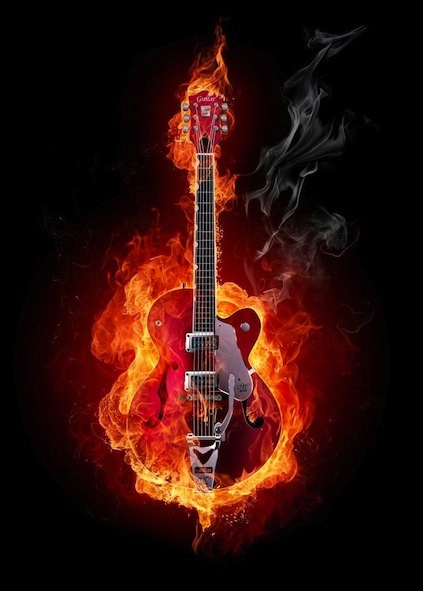 I was told that the total number of Electromatic® G5123Bs manufactured is a closely guarded company secret, and that he couldn't give out that information." This single cutaway beauty is a limited edition - and reasonably rare model - offered exclusively at Guitar Center for a door buster special in 2010. I have not been able to confirm this, but the rumor is there were less than 300 produced. Initially, there was only one per Guitar Center store, and not every store got one. I also see now, that they are offering the same bass in a transparent burgundy. It's a beauty too! For the good folks who managed to get their hands on one, this is a wonderful instrument. What they picked up is a big hollow body sunset orange bass with two TV Jones ThunderTron pickups. The fret board is rosewood, with neo classic thumbnail inlays. The body is laminated maple with a bound top and back. 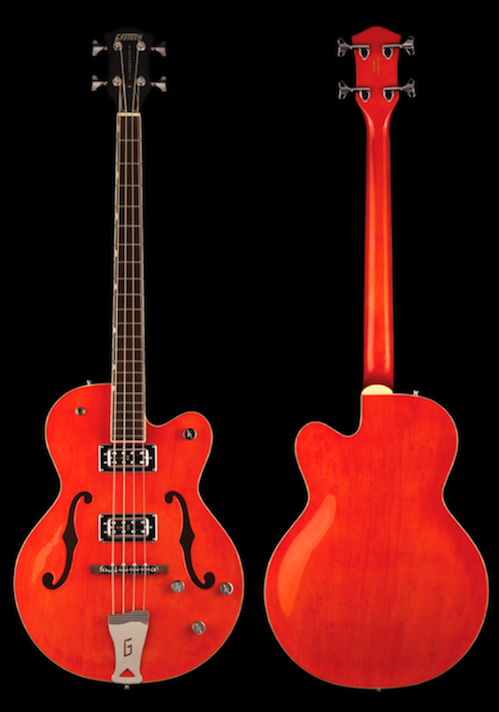 The bridge is a rosewood based Gretsch Adjustomatic four saddle, which is moveable in order to set the intonation. It plays, feels and records great and I am very grateful and excited to finally have a Gretsch that I can really get around on. 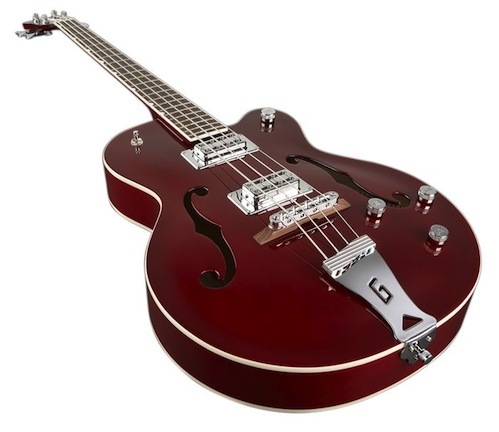 Try googling this model and you'll get very few sightings and even less information, even from Gretsch. Really nice tone. Clean and sweet playing near the neck or get a really nice growl playing near the bridge. You'll notice this bass looks much like its cousin, the Broadkaster. Exclusive Retailer: Guitar Center (No store was to receive more than 1, some stores received NONE, AKA "Select Stores"). Controls: Master Volume, Master Tone, Neck Volume, Bridge Volume (all Gretsch "G-Arrow" Style Knurled Knobs), pickup Selector Switch. Unique Features: Neo Classic "Thumbnail" Inlay Position Markers, Black Headstock Overlay, White Pearloid Gretsch© and Electromatic® Headstock Inlays, Bound Rosewood Fingerboard, Bound Maple Top and Back, No Pickguard, Knurled Strap Retainer Knobs, Adjustable Truss Rod.